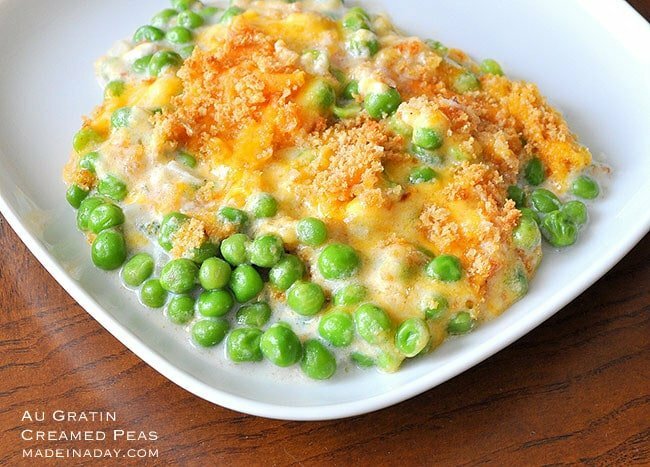 When I was young, creamed peas were a side dish staple that you could find served along with fried chicken or other comfort food dishes. I fell in love with this sweet creamy dish as a child. Nowadays it seems to be a rarity to find it on any restaurant menus. 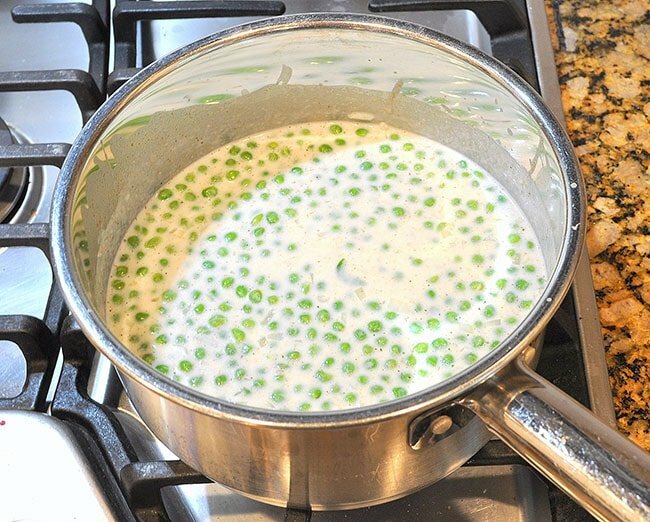 Creamed peas are basically sweet peas in a white sauce or bechamel sauce. Sounds simple enough. Well, that was until I tried the au gratin peas at Ruth Chris’s Steakhouse. 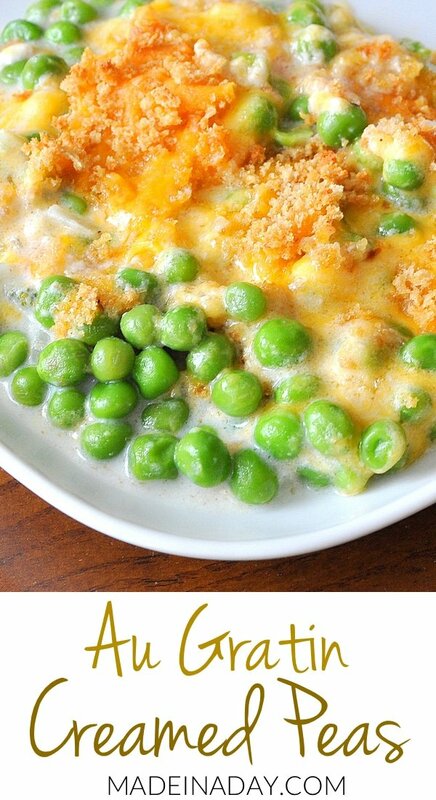 Their sweet peas are baked and topped with a layer of cheddar cheese. Yes please and keep them coming! That’s when I went on a quest to find the recipe! The one that came the closest, in my opinion, is Emeril’s Sweet Peas Au Gratin. I think it s because of the addition of his own seasoning mix Emeril’s Original Essence. I did, however, make this delicious recipe a little less glamorous. Here is my version of his dish. Enjoy! Preheat the oven to 350 degrees. 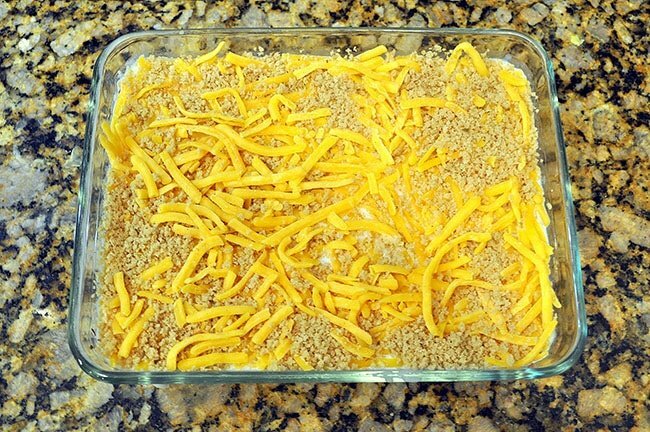 Grease 9x9 baking dish with the 1 teaspoon of butter and set aside. In a medium sauté pan over medium-high heat, melt the remaining 2 tablespoons of the butter. Add the onions and season them lightly with salt and pepper. Sauté for 2 minutes. Sprinkle in the flour and cook for 1 minute, stirring constantly to make a paste. Slowly stir in the milk and whisk to blend the mixture. Bring to a bubbling simmer. Cook the flour mixture for 4 to 8 minutes or until the mixture thickens. Add in the peas, salt & pepper to taste, stir to blend and pour into the 9x9 dish. In a small bowl mix the Emeri's Essence with the breadcrumbs, then sprinkle them over the peas. 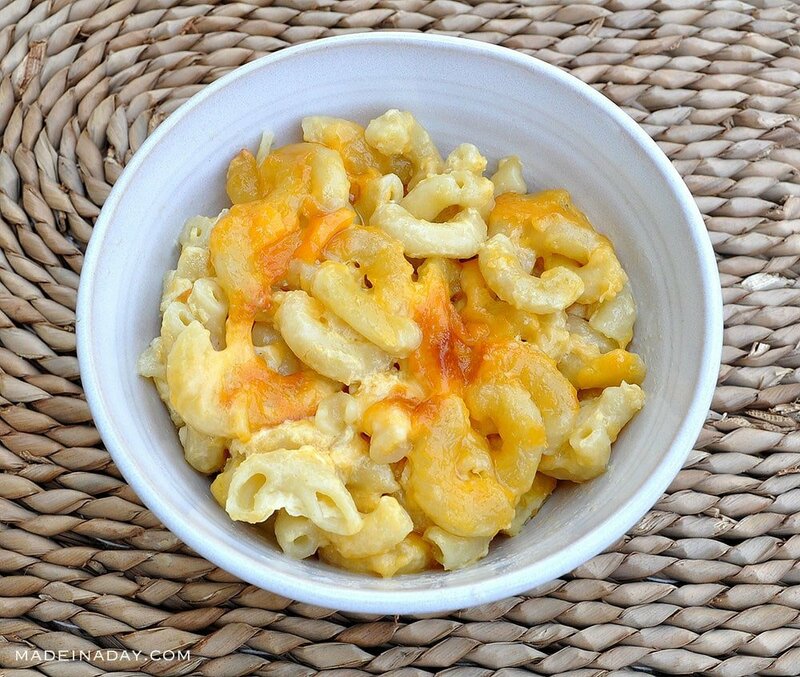 Top breadcrumbs with the shredded cheese. 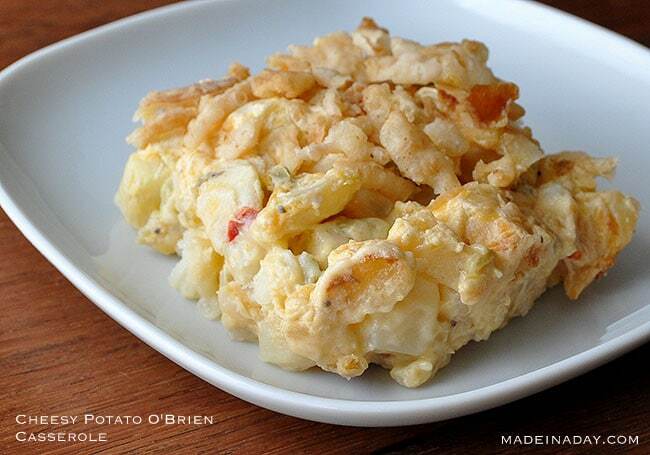 The original recipe (link below) is for use with an au gratin dish and baked at 400 degrees, which is a slight broil. I found my peas and sauce were a bit too soupy so I added the ingredients to a 9x6 (you can use a 9x9 dish) dish and baked it slower like a casserole and it came out perfect! 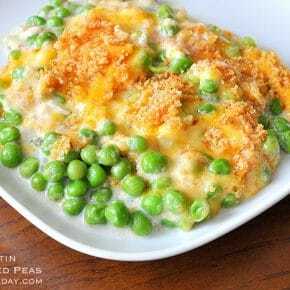 This recipe was adapted from Emeril Lagasse Sweet Peas Au Gratin. Thanks for the invite Carole! I linked it up.